When an idealistic college girl from Iowa meets an exciting Jamaican inventor with plans to save the world, she drops everything to begin a new life with him. What she doesn’t expect – and what no woman expects – is that her husband turns out to be a brutal, abusive cheater who threatens to kill her or their children if she tries to escape. 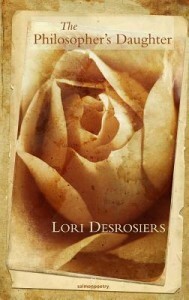 Written by a survivor of domestic violence, The Flaws That Bind takes readers inside the lonely terror and psychological trauma that battered women and children endure when there seems to be no safe way out. 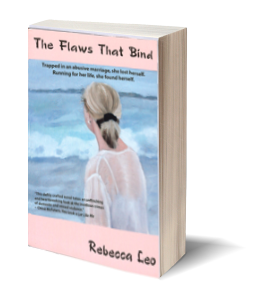 Rebecca Leo’s memoir-based novel The Flaws That Bind is a page-turner about a woman’s struggles through an abusive relationship while living in Jamaica and Australia. It deals realistically with the issues of abuse and enablement, without becoming overly sentimental. The setting itself is a character in the book, going beyond the well-written descriptions of tropical climes to evince a deeper understanding of the cultures and the effects of crime and poverty on individuals and families. This is a worthwhile read. An honest and profoundly moving novel that snatches us like a riptide and wrenches us down to the deepest and darkest places of the human experience. You will be hooked by the first page as Leo masterfully captures the tension building stage within the cycle of domestic violence, that murky and terrifying area between relative calm and all-out torment. Gripping, powerful, and authentic, The Flaws That Bind is a call to action: a call to recognize, to support, to protect, and to prevent.